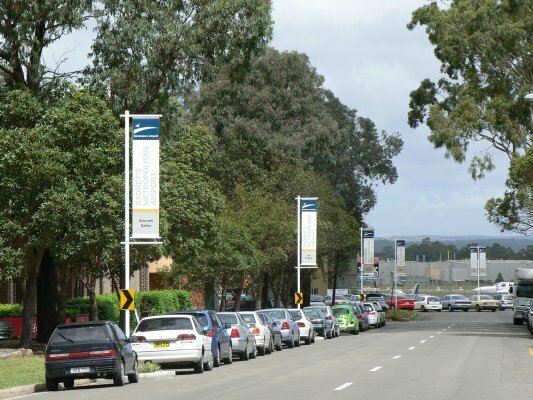 With the erection of BANNER POLES along Airport Avenue, an exciting new advertising opportunity exists for Airport tenants. These banner poles are a highly visible way of promoting your business to all airport visitors. The double-sided banners can be leased for $3,600 per annum + GST per banner (double sided). The advertising area on each banner is limited to the current white area in the centre of the banner. This area is approximately 1570mm H and 600mm W.
For more details, please contact our Property Manager Jenk Kemal or telephone 02 8709 9400.